Do you feel dizzy just by thinking of a sailing trip? Do you feel weird even by hearing kid’s songs about boats? Then you belong to the people with intense nausea symptoms. Even though there are several reasons why this feeling is could be awakened (poisoning, alcohol, pregnancy, etc.) we are going to refer to the one that has to do with our favorite sea hobby. In this case, motion is the determining factor. More specific, nausea manifests to people who spin or float, or to people who watch spinning of floating objects. In sort, to people who travel by car, plane or boat. Travelling with waterborne means is particularly accompanied by this condition. 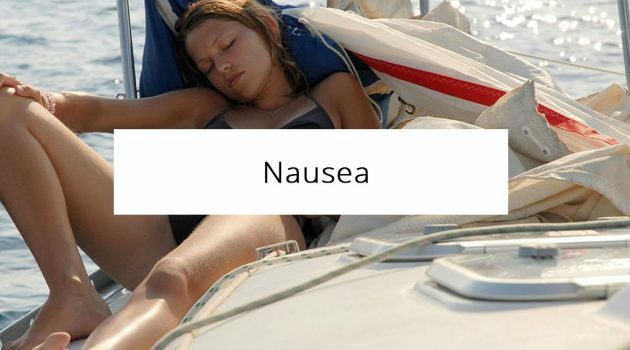 Nausea is due to conflicting stimuli received by the brain regarding the body’s position within the space. During the trip, the brain receives stimuli about the position and the movement of the body by sensing receptors located in the eyes, the inner of our ears (labyrinth), the muscles, the joints and the skin. For example, when moving by a plane or boat the movements that cannot be perceived by the eyes, are perceived by the labyrinthic system inside the ears. In this case the brain receives different contrasting stimuli resulting in the feeling of nausea. Imagine sitting in the backseats of a car reading a book during a trip. The sensors located in your ears and skin will perceive the motion and notify the brain. The eyes though will be concentrated on the book and will not receive any motion stimulus thus you will start feeling nauseous. 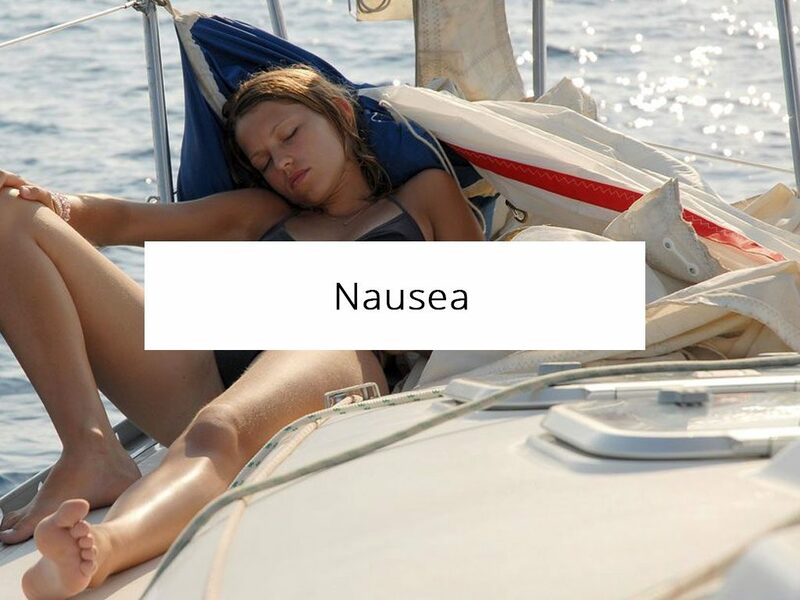 This form of nausea is benign and lasts as long as the stimulus does. In some people though the feeling continues even after the end of the trip and sometimes the symptoms last even a few days after. To be specific it is manifested with dizziness, yawning, headache, cold sweat and vomit. Even though nausea can occur as the single symptom, most of the times it is accompanied by vomiting so that nausea and vomiting are considered an inseparable duo. The existence of the one though does not imply the existence of the other. When travelling there are several things one can do to prevent an upcoming nausea. During the trip it is important for the eyes to follow the movements perceived by the inner of the ears. When on the boat, be on the upper deck and not the lower parts and keep your gaze in the horizon. If you are sensitive to the feeling of nausea, do not read while travelling and sit in a manner that allows you to see at the direction that the vehicle is moving. Also avoid looking at anyone that may feel nauseous during the trip. Avoid eating food rich in fat, spicy or with intense flavours before or during your trip. To minimise the risk of your kids feeling nauseous, apply the foremention principles. There is a variety of medicine you can use to prevent or face the problem of nausea. Some can be used without a prescription while for others a prescription is absolutely necessary. For this reason, the best you can do is ask for doctoral advice as to which is the most suitable for you.